Painting the Three Decker murals at Training Center in Dorchester, Mass. 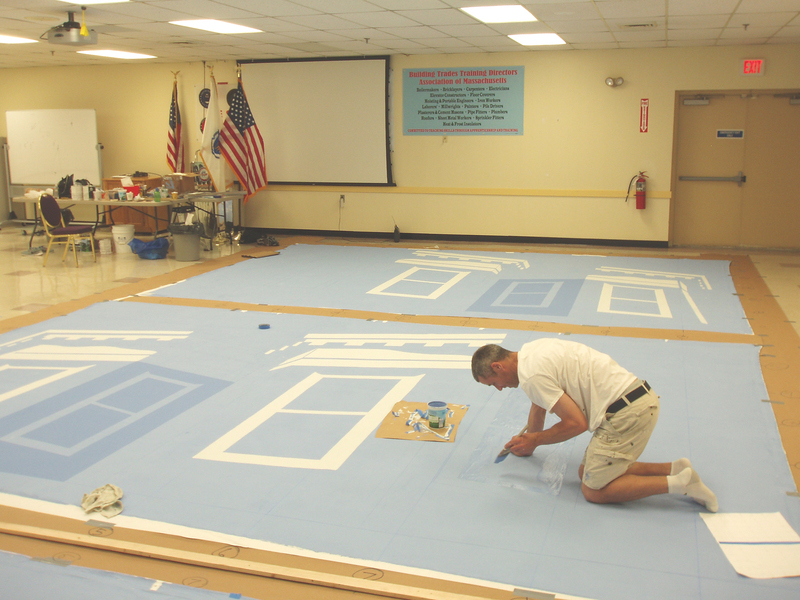 During the week of August 3, 2015, Dorchester-based artist James Hobin, assisted by Mike Prokosch and Paul Moylan, painted three murals on the floor of the auditorium at the Sheet Metal Training Center on Adams Street. Each mural measures twelve feet by twenty feet. Two of the murals feature the iconic “Three Decker,” a type of dwelling that is concentrated in the Dorchester area. 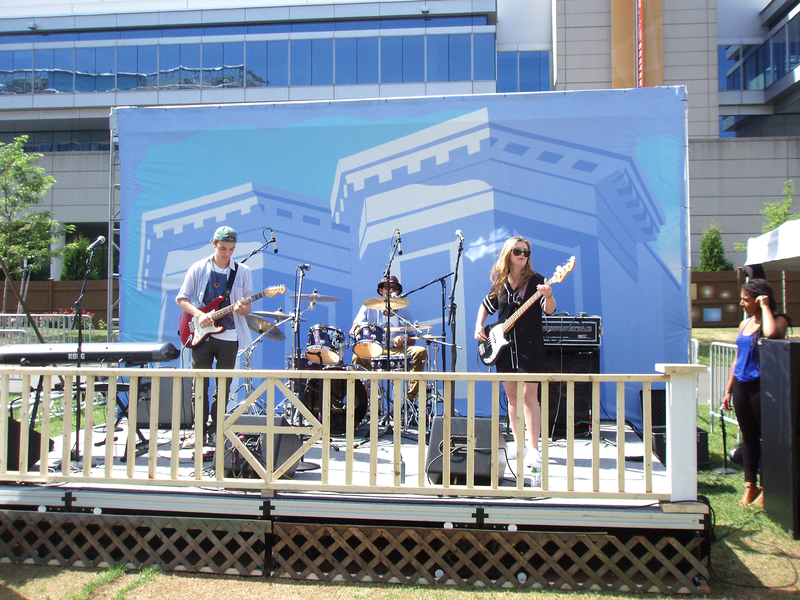 The murals were used as backdrops for the stage production of “Porchfest,” an event organized to bring the community together through art and music, admission-free. 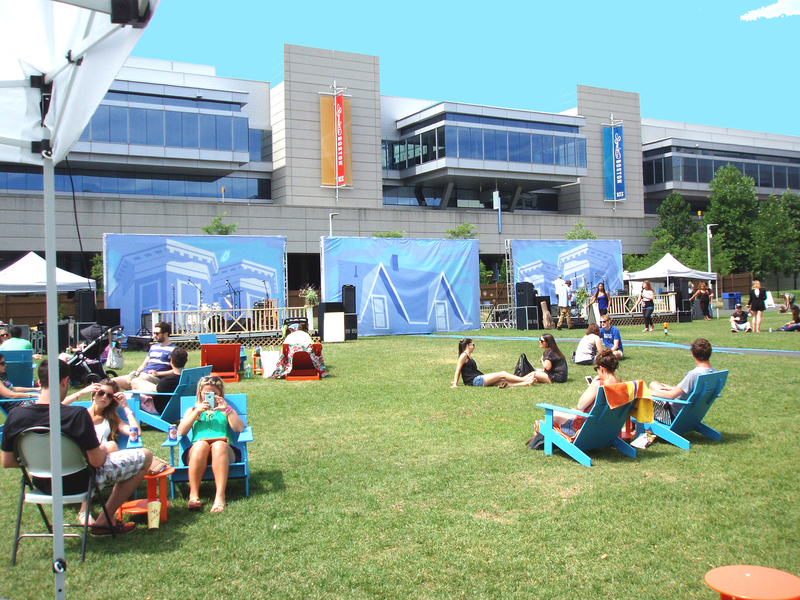 On Saturday, August 8, Porchfest was held at “Lawn on the “D” a public green space set alongside the east wall of the Boston Convention Center.